Rag & Bone makes a lovely button down with a soft shape and bright stripes. I love breezy tops like this! 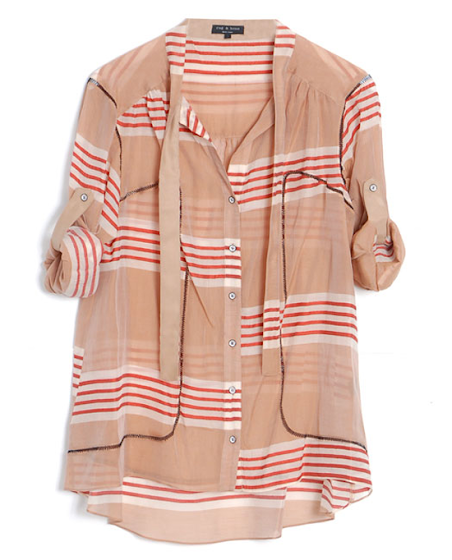 I love this top and how the stripes are a little mismatched. So fun! I think Chelsea Handler wore this on her show last night - looks better on the hanger...haha. Oh man-I need this shirt so very much! ohhh... love it! could be a staple this summer.happy weekend.